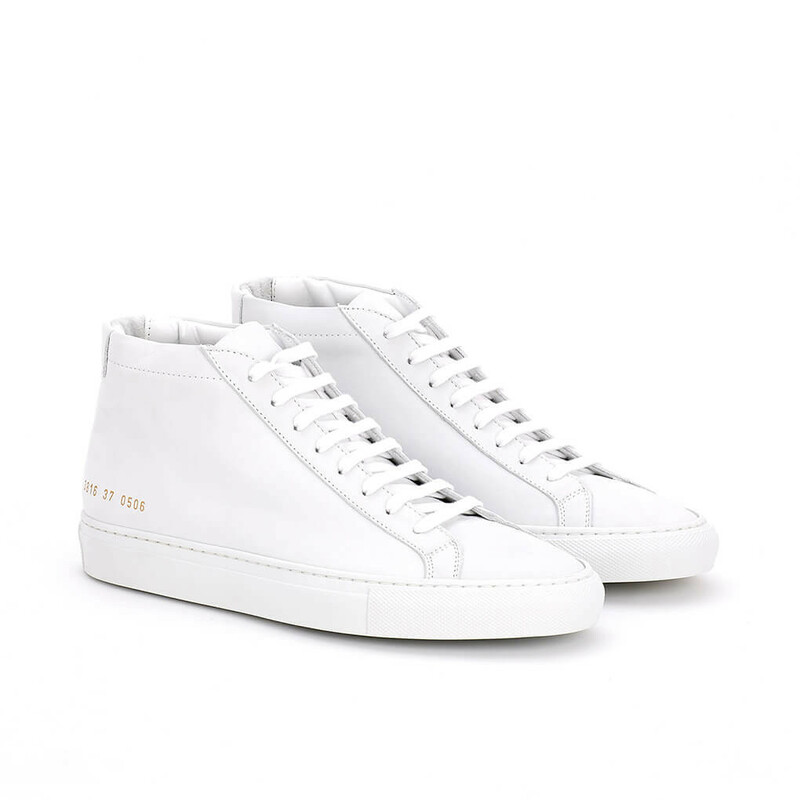 The original cult-favourite sneaker, the Achilles design from Common Projects is available in High, Mid and Low cut versions. Mid version from the Original Achilles Low is the perfect minimalist choice for the summer and autumn season. This time made from luxurious white nubuck - fresh as the snow. The mid padded top hugs the ankles of the leg enhancing the visibility of the sneaker while still sleek enough to have under trouser hem. Superior sole construction in Common Projects sneakers is made by hand. 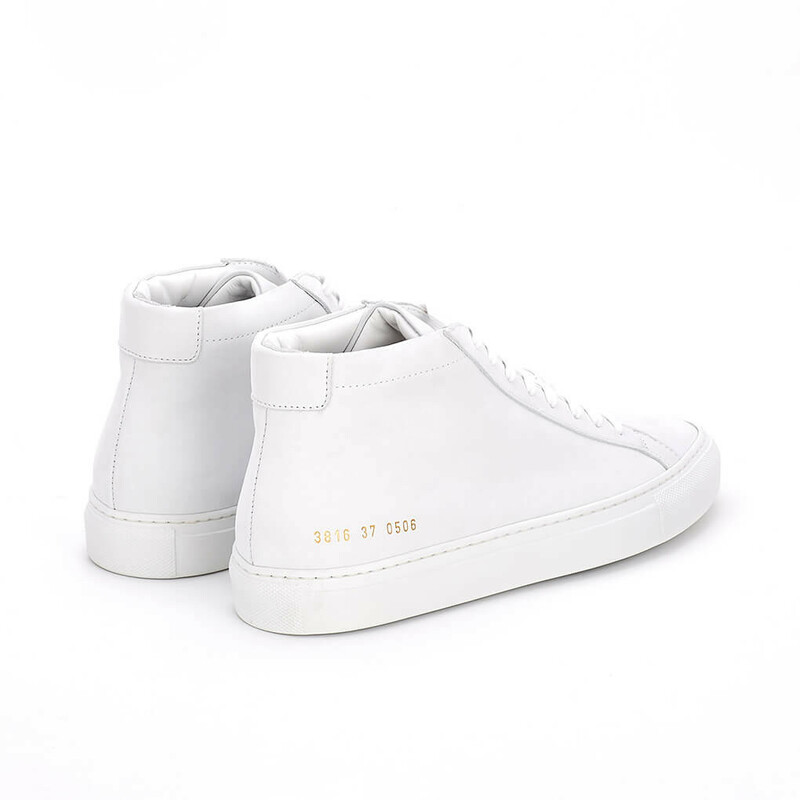 Sole is stitched to the upper as opposed t. Read more..
Superior sole construction in Common Projects sneakers is made by hand. Sole is stitched to the upper as opposed to vulcanized. This type of construction guarantees the years long usability and gives sophisticated finished look to these minimalist sneakers. 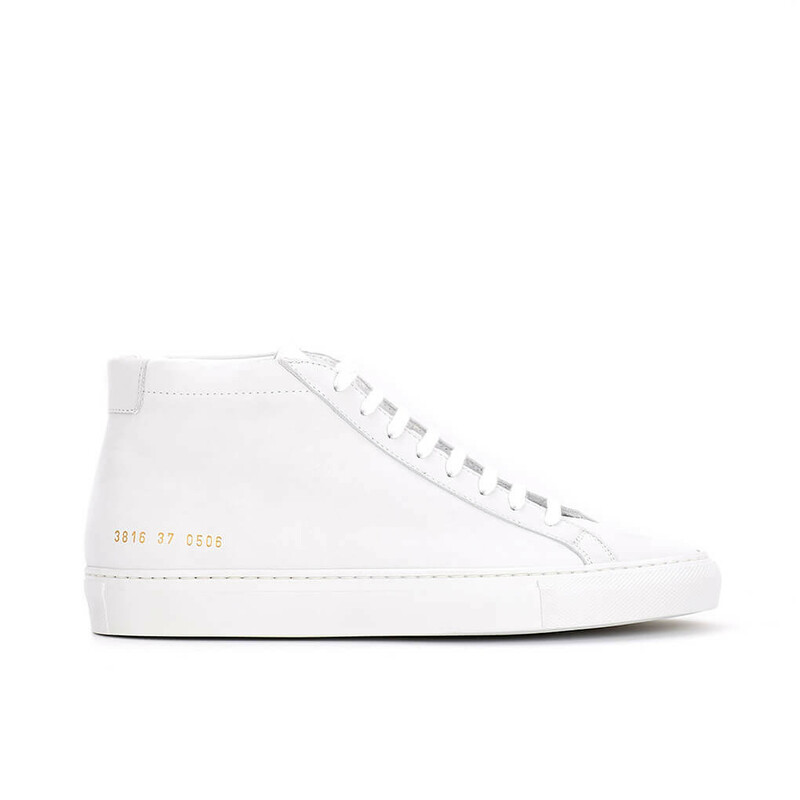 Signature stamped Common Projects logo on side. FYI. We advise you to take one size smaller than your regular Italian size. 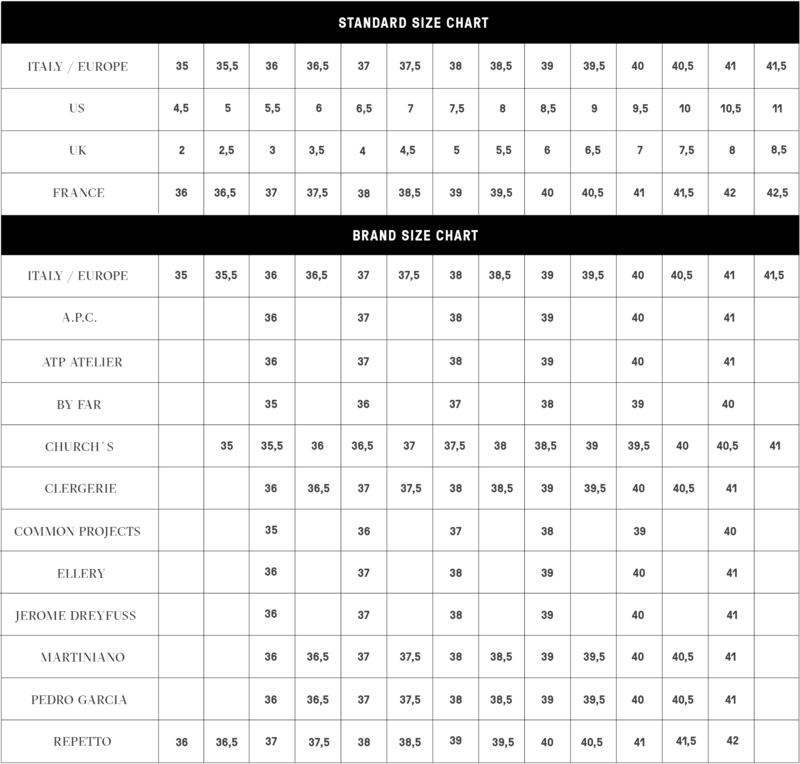 Please view the size guide for more info. 1 x Achilles Mid White was added to your shopping bag. 1 x Achilles Mid White was added to your wishlist.